In the 1960’s on the north shore of Long Island, I recall seeing this exquisite native campion along hayfield edges, partly shaded by oak woods. It grew both at Ships’ Hole Farm, where I grew up, and at Sweet Briar Farm, our neighbor to the west. I have not seen this plant for many decades, either on Long Island or in Connecticut. However, the bladder campion (Silene vulgaris) remains a common weed in fallow gardens and crop fields. The photo below shows the genetic variant with a rose pink calyx. 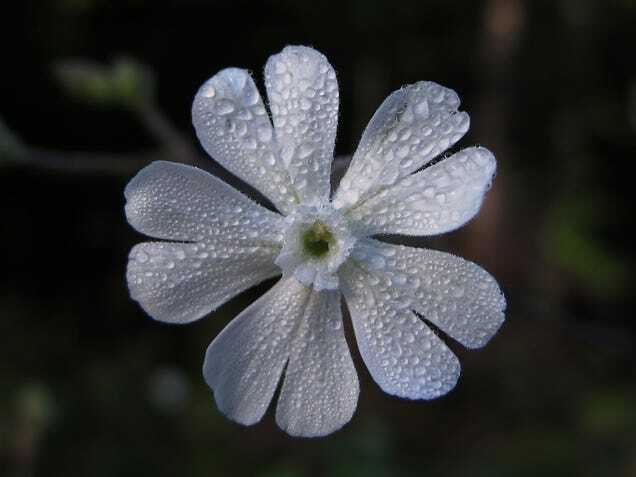 In Connecticut the number of extant populations of Silene stellata has shrunk to two, and the species has been designated a Connecticut Species of Special Concern, though no scientists are currently studying the species, to the best of my knowledge. The species decline is perplexing, as it is still doing fine in many other states. Lauren Brown is a well-known Connecticut botanist and a long-time, active member of the CT Botanical Society and the New England Wildflower Society. For the Silene stellata project, she scrutinized existing habitat records in manuals and herbariums, and interviewed Connecticut’s most experienced botanists ,and several out-of-state nursery growers. Botanist William Moorhead suspects the species needs higher levels of some soil minerals than are typically found in Connecticut glacial till, for two reasons. 1) It has been found in it in traprock, limestone and shale soils, in the past, and 2) it is more common in the midwest, where soils have higher base-saturation. Nevertheless, there are also records of the plant growing in sandy, acidic, mineral-poor soil – including the population at Ships Hole Farm. I was struck by one out-of-state nursery growers’ comments that seeds from different collections behaved very differently. Some growers noticed widespread self-seeding, others observed no self-seeding what-so-ever. Formerly extinct Siberian campion (Silene stenopylla) Source: M. Stone’s article, 2015, citation above. It is amazing that a Silene (campion) seed from Siberia, 32,000 years old, actually germinated and bloomed in 2012! The symmetrical flower is quite recognizable, with its five deeply notched petals. If asked to identify it, I’d have turned right away to the campion section of the Pink family (Caryophyllaceae), in one of my botany manuals. This ancient campion population has been found to have genes related to reproduction and flower morphology that have been lost from the modern counterpart of Silene stenopylla. Gene pool restoration of the modern Siberian Silene species is now being contemplated. 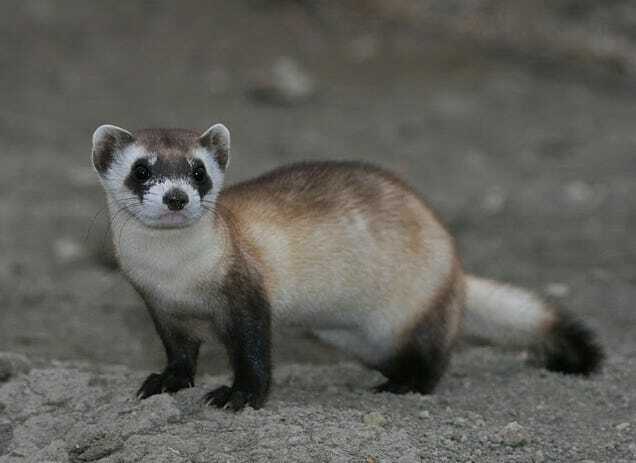 A similar genetic rescue is actually in progress, for the genetically-impaired black-footed ferret, using genetic material from preserved tissue – an example of a “benign” GMO (genetically modified organism). This midwestern “top predator” narrowly escaped extinction, when 99% of it’s main prey, the prairie dog, were eliminated to make room for crops. After the bottleneck, the residual ferret population lacks the genetic diversity to survive, long term. Researchers are optimistic that the black-footed ferret’s gene pool will recover. Source: M. Stone’s article, 2015, citation above. Thinking back to Silene stellata, its continuing decline may also be caused by caused by genetically depauperate, fragmented populations, in intensively developed parts of Connecticut and New York state, with few remaining farms. If this is the case, there is no need to undertake extremely expensive gene-splicing, using ancient genetic material! The more mundane technique of plant breeding with out-of state populations would suffice. However, informal interbreeding at nurseries could also disrupt or swamp existing, balanced genetic systems. Precarious Silene stellata populations in Connecticut – and probably Long Island as well – warrant systematic analysis directed by scientists with expertise in genetics as well as plant ecology and plant breeding. Seeds and data can readily be collected by volunteers, as this wild flower is very easy to identify, unlikely to be confused with bladder campion. It is also pretty enough to provide motivation. Perhaps the species is in fact much less rare than we think – just under-reported. This is often the case. Plant-oriented groups like CT Botanical and The Hardy Plant Society could be queried. Herbivory by deer and soil mineral deficiencies also need to be ruled out as factors responsible for the decline. However, gene pool enhancement, if that is indeed what is needed, must be very carefully executed by professionals. The pro-active way to prevent genetic bottlenecks and keep to keep plants and creatures off that rare species list, is through the ongoing actions of land use boards, town selectmen, and land trusts., to maintain habitat connectivity and sizable habitat blocks for ecological communities. To be genetically connected, starry campion populations need to be within pollinator-foraging range. For a large mammalian predator, like a black-footed ferret, suitable habitat (prairie dog villages) can likely be dozens of miles apart, but not several hundreds. One Response to Where are the Starry Campions? A clump of starry campion was found at Ships Hole Farm in late July, just starting to bloom, the first I have seen since the late 1960’s when I was teaching myself botany as a summer pastime, during high school. It was found near the trail up to the steep ~ sixty-foot high high overlook, with an excellent northerly view, far down the Nissequogue River estuary. The overlook is owned partly by Ships’ Hole Farm and partly by the Peconic land trust, donated several decades ago by the Nicodemus family. The only arrowhead ever found at Ships’ Hole was found on this overlook e by my father when he was a boy. We figured native Americans would wait there for the fishing and shellfishing boats to return up the river, chiseling arrowheads to pass the time.